Tulsa-based Williams is reporting net income of $373 million in the first quarter of 2017, which is sharply contrasted to last year’s net loss of $65 million reported just one year ago. The company said that’s an increase of $438 million. 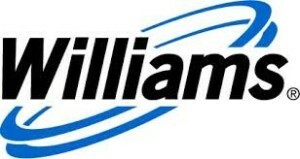 In September 2016, Williams announced organizational changes to simplify its corporate structure, increase direct operational alignment to advance its natural gas-focused strategy and drive continued focus on customer service. The changes were implemented on January 1, 2017. 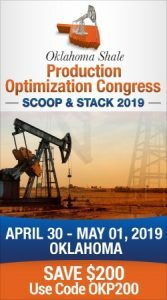 OK Energy Today reported on March 31 that Williams completed two blockbuster transactions involving a swap of gathering system interests in the Delaware Basin and Marcellus shale. Williams received $200 million and increased its ownership in two Marcellus shale gathering systems in exchange for its assignment of non-operated Delaware Basin assets. Last month, OK Energy Today reported the sale of the company’s ownership interest in its Geismar, Louisiana olefins chemical manufacturing plant for $2.1 billion to NOVA Chemicals. The transaction is expected to close in summer 2017. The Geismar plant is the site of a deadly explosion nearly four years ago. The company also reported that it has reduced debt by $1.623 billion through the first quarter of 2017. Williams expects to have excess cash available to reduce debt throughout the year.